Manchester United will collide against Arsenal in the FA Cup on Friday and Solskjaer would be looking to extend his brilliant start as the interim manager of the club. The Red Devils have won seven fixtures on the trot under the Norwegian boss but can they upset the Gunners in their own backyard? Earlier in the season, United earned a point against Arsenal at the Emirates when Mourinho was in charge. The north Londoners have been inconsistent under Emery but it must be remembered that they dominated and defeated Chelsea in their last PL contest. As far as Arsenal’s team news is concerned, we can expect the Spanish boss to make a few changes in the team that started vs the Blues. 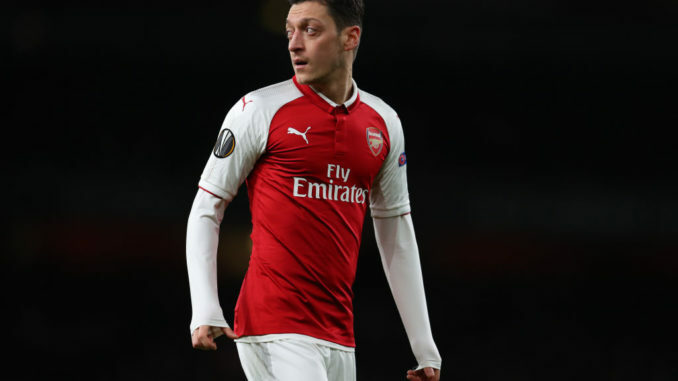 Star playmaker Mesut Ozil has mostly been out of the lineup under Emery and he was only an unused sub against Chelsea. We can expect the retired German international to return to the starting XI. The likes of Iwobi and Maitland-Niles could start with the former Real Madrid man in the attacking midfield behind lone CF Lacazette. Bellerin is out injured, so, Lichtsteiner should return to start in the right back position. On the other hand, Monreal will probably replace Kolasinac in the left back role. Mustafi might replace Koscielny to start with Sokratis in the central defense. Cech will likely return to replace Leno in the goal.